F. Scott Fitzgerald's classic American novel of the Roaring Twenties is beloved by generations of readers and stands as his crowning work. This audio edition, authorized by the Fitzgerald estate, is narrated by Oscar-nominated actor Jake Gyllenhaal (Brokeback Mountain). Gyllenhaal's performance is a faithful delivery in the voice of Nick Carraway, the Midwesterner-turned-New-York-bond salesman, who rents a small house next door to the mysterious millionaire Jay Gatsby. There, he has a firsthand view of Gatsby's lavish West Egg parties--and of his undying love for the beautiful Daisy Buchanan. 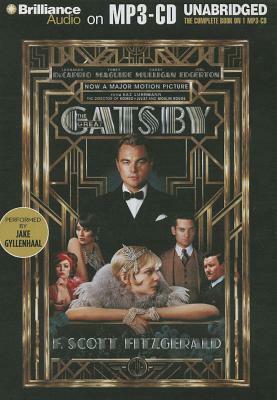 This special audio edition joins the recent film--as well as many other movie, radio, theater, and even video-game adaptations--as a fitting tribute to the cultural significance of Fitzgerald's Jazz Age classic, widely regarded as one of the greatest stories ever told.